Megan Gorelick Interiors is a full-service interior design firm located in Wilmington, Delaware. Their projects span the east coast from New York to Florida. Megan Gorelick is the founder, with more than 10 years of design experience and a wide variety of projects ranging from a 700 square foot apartment to a 14,000 square foot estate home. Locally, Megan Gorelick Interiors is well-known for designing over 30 stunning, luxury model condominiums at The Pointe on the Brandywine River in collaboration with Stephen Mottola. Together they have teamed up on homes up and down the East Coast. The beach houses that they have designed are house tour favorites! 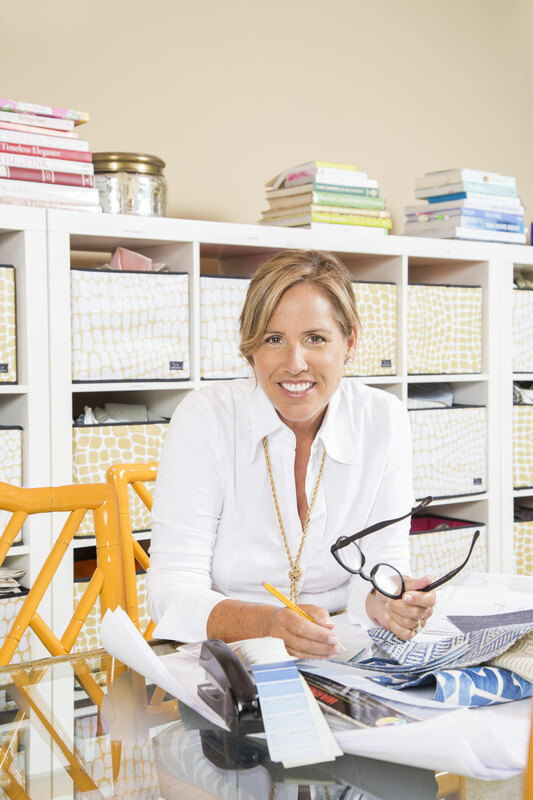 Megan specializes in classic interiors infused with whimsy and elegance, often utilizing one-of-a-kind pieces. Her fresh approach combines beauty and comfort to create a home that reflects her clients’ needs and personalities. She is well known for her industry relationships, and credits her subcontractors, vendors, builders and local artisans with the level of quality her firm delivers. The design process often starts with a visit to Megan’s studio where the clients will get to know her accommodating staff, and review the systems she has in place to ensure that each project runs smoothly. Her precise attention to detail saves her clients a great deal of time, money and effort. Full of charm and wit, Megan is known for her unique lingo – she may ask you a “Q,” give you a “jingle,” need to “jouz” a few things or say to a contractor up on a 10 foot ladder – “humor me and see how it would look if…” She does whatever it takes to keep the process moving and to make things happen without getting feathers ruffled. Since establishing her design firm, her devotion to the business is apparent in all the ways she continues to develop herself. Megan is a member of a designer mastermind group as well as a designer MBA and alumni forum. She was recently selected for the Kravet National Design Educational Trip to New York City. She fosters her design skills by pursuing on-going educational design courses, and travels throughout the country to meet these various groups and engage with designer lectures. Megan has many “gurus” she consults with, and believes everyone needs a mentor and needs to be a mentor. Megan is married to David Gorelick and together they have three beautiful daughters, Bailey, Bryn and Lilly. The family resides in Wilmington, Delaware and spends their summers in Stone Harbor, New Jersey.